Let’s face it. People are treating their pets much like they treating their own children… And when it comes to their pet’s health, they won’t settle for anything less than the best. But how do you find the best CBD Oil for the best price in a sea of cheap imitations? The key is to first educate yourself as much as possible about CBD and what it has to offer. 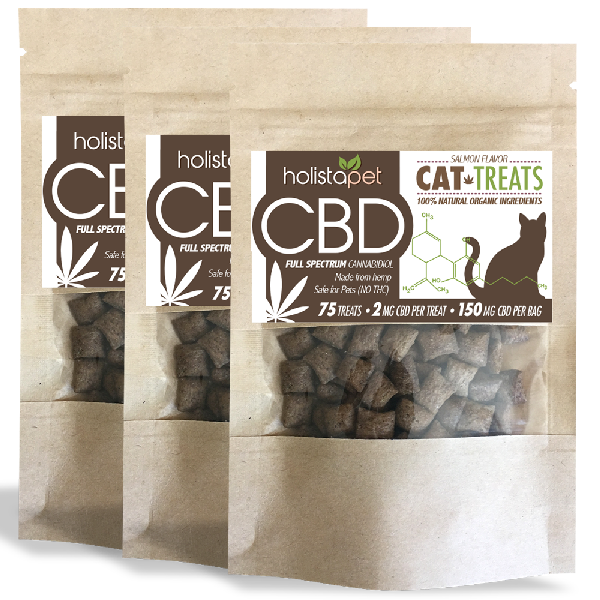 Learn about the different types of CBD products and about the different methods of delivering the CBD to your pet’s Endocannabinoid System. 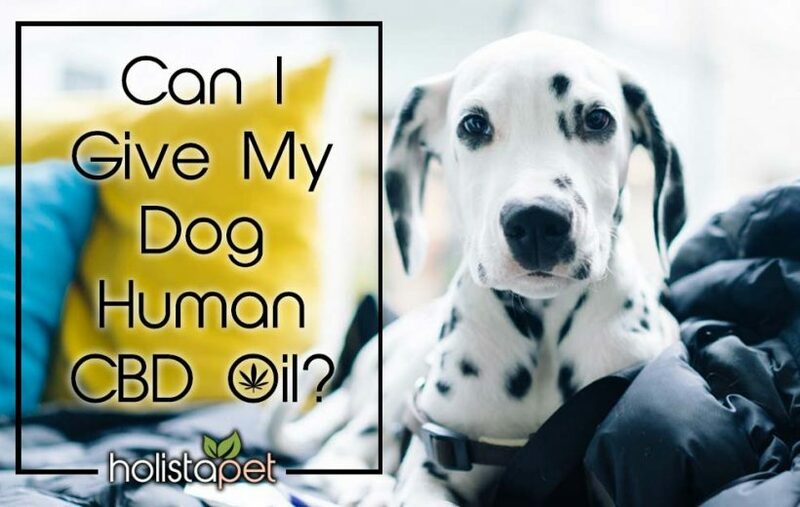 Finally, learn what to avoid when finding the best CBD Oil for your dog or cat. CBD is the short abbreviation for Cannabidiol which is one of the 113 active cannabinoids found in the plant cannabis. Sometimes referred to as hemp oil, CBD oil is the extracted oil of the plant that contains concentrated amounts of Cannabidiol. Cannabidiol (CBD) does not have any psychoactive effects like THC (tetrahydrocannabinol) does. This means you will not get “high” by consuming CBD. Our CBD has been studied, tested and used as an effective treatment for addiction, epilepsy, arthritis, anxiety, cancer, glaucoma, nausea, chronic pain, inflammation and much more. CBD works by affecting us through our endocannabinoid system (ECS). This system is specifically made to process all of the nutritional cannabinoids which enter the body. 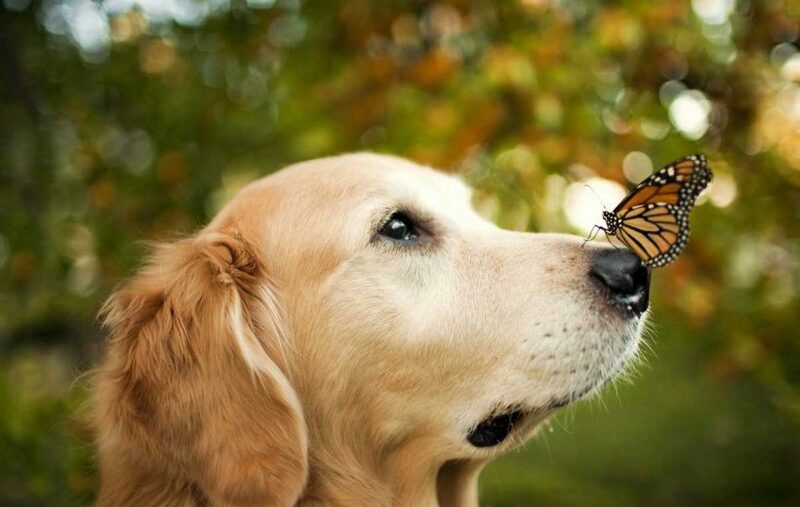 All mammals including dogs, cats & horses have this biological, neurological system and therefore can enjoy the health benefits of CBD!! We encourage our readers to do their own research on this amazing new supplement and find out for themselves if it can be a good use for their pets. Unfortunately, most blogs on the internet do not properly distinguish marijuana and hemp. While marijuana and hemp refer to the cannabis plant, these two are distinct in various ways. Historians believe that cannabis is one of the oldest domesticated plants in the world. Early civilizations who grew the tall and sturdy cannabis plant used it for medical and industrial applications such as making ropes, fabrics, foods oils, as well as textiles. 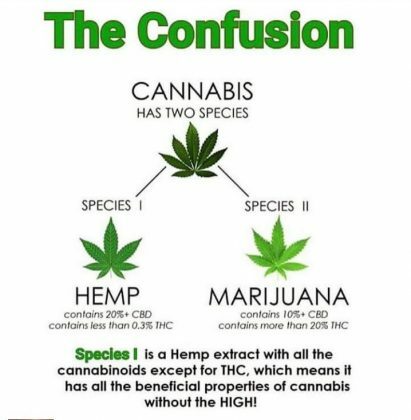 They bred the plant with others bearing the same characteristics, leading to the emergence of hemp. Those who came before also bred plants that exhibited psychoactive effects for use in religious and medical purposes. Presently, this variety is known as marijuana (sativa). Scientists believe that this separation resulted in the two distinct types of the cannabis plant. Cannabis sativa is marijuana, while Cannabis indica is hemp. Hemp and marijuana required different growing conditions. Marijuana plants (Cannabis sativa), previously used for religious and medical purposes, grow in environments that tend to produce female flowering plants. These plants yield buds during the flowering stage, which are a rich source of tetrahydrocannabinol (THC). Pure sativas can reach a height of 4.5 meters with long branches and narrow leaves. On the other hand, indicas are bushier and shorter (1 to 2 meters. ), with broad, healthy leaves. Due to breeding, indicas have low concentrations of THCs. Cultivated hemp plants are primarily male, and despite being shorter than sativas, their broad leafs leads to high stalk yields. Getting an optimal concentration of THC in sativas requires careful control of humidity, temperature, oxygen and carbon dioxide levels, and light. Thus, sativa plants can be located indoors. Hemp can grow outside under extensive acreages such as in China, which is the planet’s leading cultivator. Hemp and marijuana have different laws. Indicas and Sativas remain banned in the US. Although, hemp is legally grown for industrial purposes in more than 30 countries around the world including France, Canada, Chile, etc. Choosing the right CBD oil to buy can be a tricky process. Making sure that you get the right CBD dosage amount per serving depends on the manufacturer and their product offering. Below is a comparison chart that contains some of the leading brands along with the available dosage amounts and prices. Hemp has high amounts of CBD and low THC (about 0.3% – 1.5%). Sativas have more THC (nearly 5% – 10% or higher). THC is the most psychoactive cannabinoid. However, CBD is the most abundant cannabinoid and accounts for 40% of the cannabis resin. CBD can reduce the psychoactive effects of THC. In high concentrations chiefly in the indicas, it dampens the effects of THC. Another interesting thing to note is that THC oxidizes to CBN when exposed to oxygen. All the cannabinoids have a different chemical structure, which influences their chemical activity. For the best CBD Oil, extracts undergo lab testing for potency or strength. 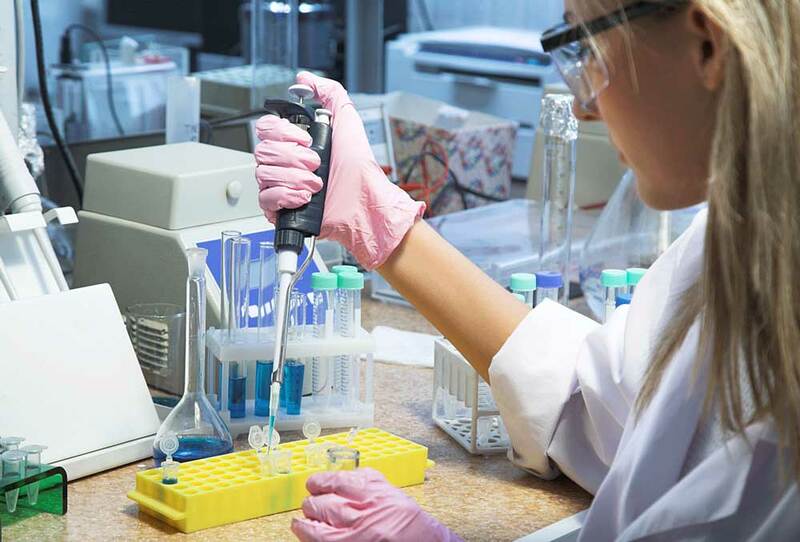 Labs measure the THC and CBD concentration using High-Performance Liquid Chromatography (HPLC). The method separates complex mixtures into simple chemical components. In its simple form, such as chromatography experiments done by kids, they place a drop made of a mixture of colored substances on a chromatography paper. The paper is then placed in a solvent such as water. As the drop moves down the paper, it starts separating. They are two phases, mobile phase (the moving drop) and stationary phase (paper). HPLC is a complex replication of this simple experiment that utilizes expensive lab equipment and tiny samples. Instead of paper, the mobile phase moves under pressure through a thin tube packed with materials (stationary phase), which interact with components in the sample of CBD oil. At the end of the tube or column, the components elute at different rates. To identify the components and quantity, HPLC has a detector that emits and measures the UV light absorbance by the sample. Light travels at different speeds through the various types of cannabinoids allowing for identification. The CBD: THC ratio is essential to customers. It determines the medical benefits of the CBD oil. Opt for products that rely on independent labs to verify the potency of CBD. Furthermore, it is essential to test for any residual solvents used in the extraction of CBD oil. CO2 extraction is a growing technique for extracting the best CBD oil since it requires no solvents that can harm humans. Most labs test for THC, CBD, THCA, CBG CBDA, CBC, and CBN. While a product with high concentration of CBD is desirable, the presence of other cannabinoids leads to a synergistic effect also call the entourage effect. 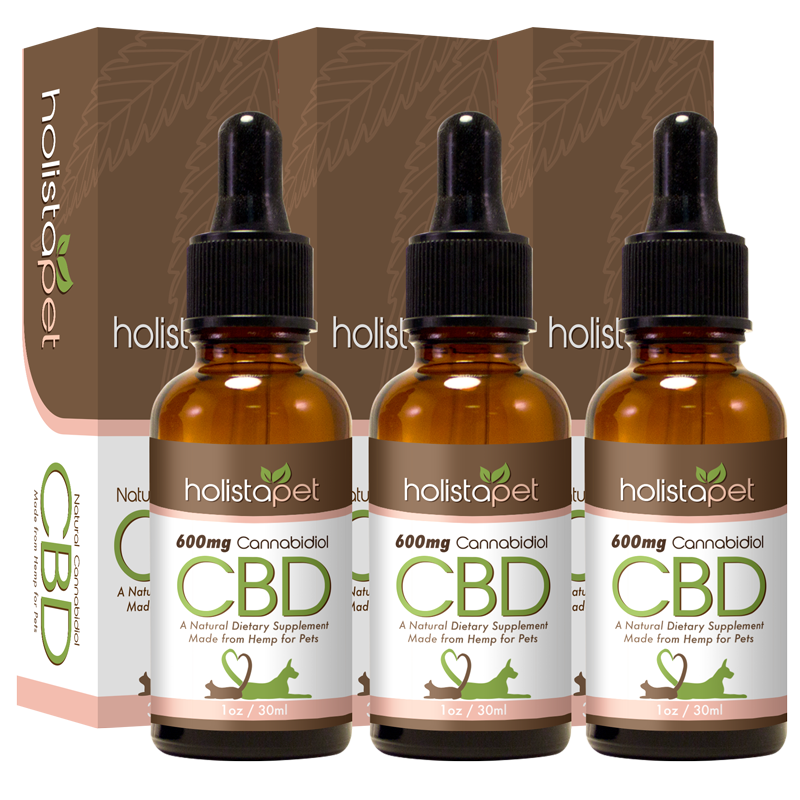 Full-spectrum CBD oil refers to the pure hemp oil with all the known cannabinoids. As stated above, all the cannabinoids lead to an entourage effect, because each component interacts with the body’s CB1 and CB2 receptors. Full Spectrum CBD Oil has more components that make it truly valuable than isolated or synthetic cannabinoids. For example, terpenes that produce distinctive flavors and colors to the final oil. The best CBD Oil also contains proteins, fatty acids, chlorophyll, vitamins, minerals, fiber, and flavonoids. Cannabidiolic acid (CBDa) is another highly sought after component in hemp. Discovered back in 1996, it is chemically converted to CBD through decarboxylation, which occurs during the heating of the oil. Researchers are yet to explore the benefits of this precursor of CBD. The best CBD oil (full-spectrum) further contains vitamins A, B, (riboflavin, thiamine, and niacin, C and E. Hemp plants have vitamins not found in the diet like beta-carotene. The oil is a source of calcium, iron, magnesium, phosphorous, and zinc. There are 20 amino acids in the full-spectrum oil. They include nine important amino acids that the body cannot produce naturally. While CBD has both Omega 3 and Omega 6 fatty acids, they occur in the recommended ratio, which is 3:1. Do you need to give your dog full-spectrum CBD oil? There are many ways to do this. 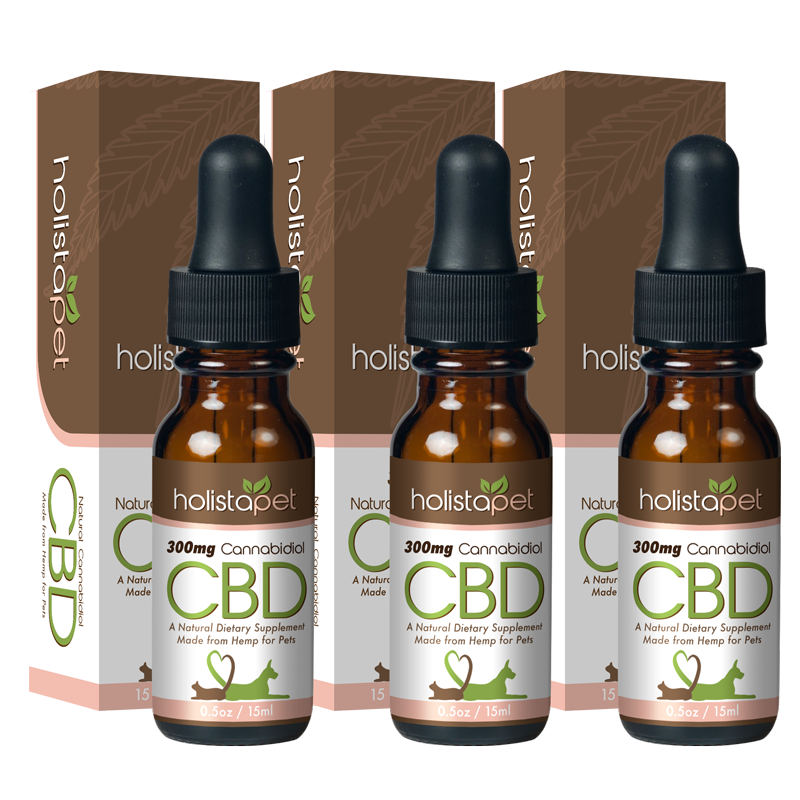 You can purchase CBD Pet tinctures to administer the oil in its original form by placing drops under your pooch’s tongue. CBD Pet Capsules formulated with highly potent CBD oil are another option to consider. 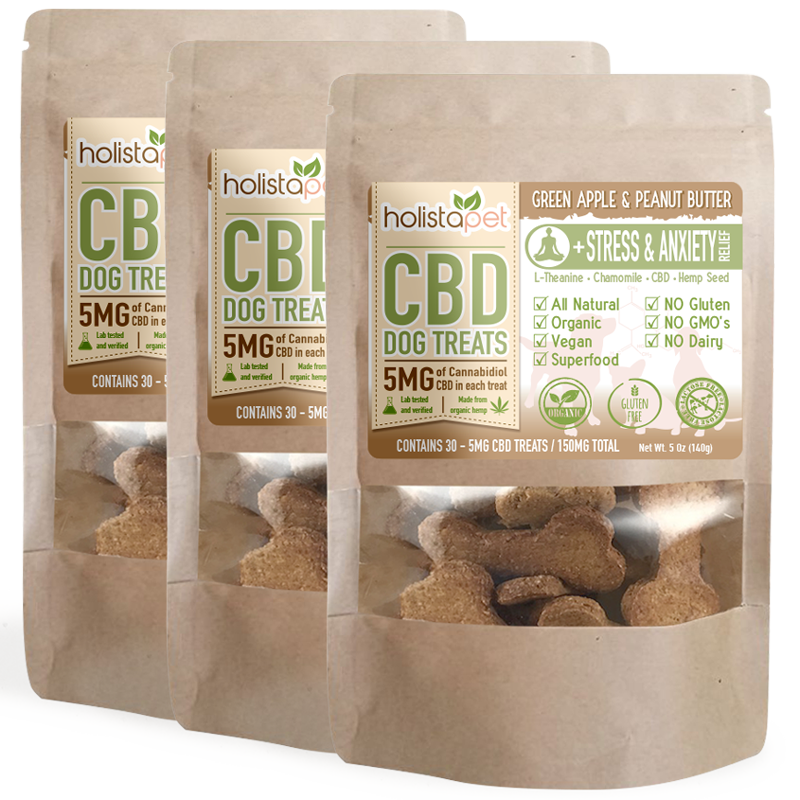 Perhaps the best, hassle-free method of delivery is to give your dog or cat some CBD Pet Treats. Use this method to reward your pooch for good work in a healthy way! 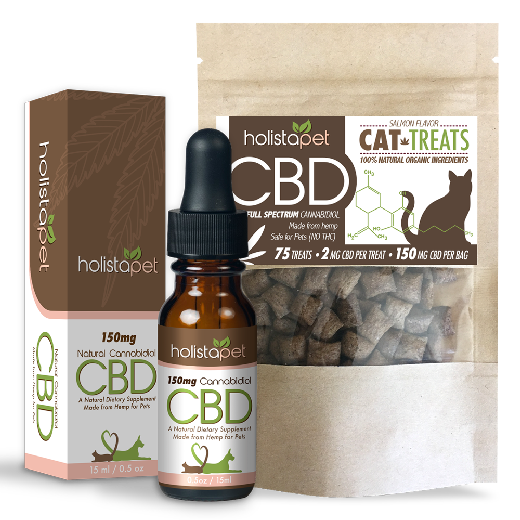 You could purchase a tincture and mix the CBD manually in your pet’s food. However, this is not a convenience. You also do not know if the dose is sufficient for the pooch. 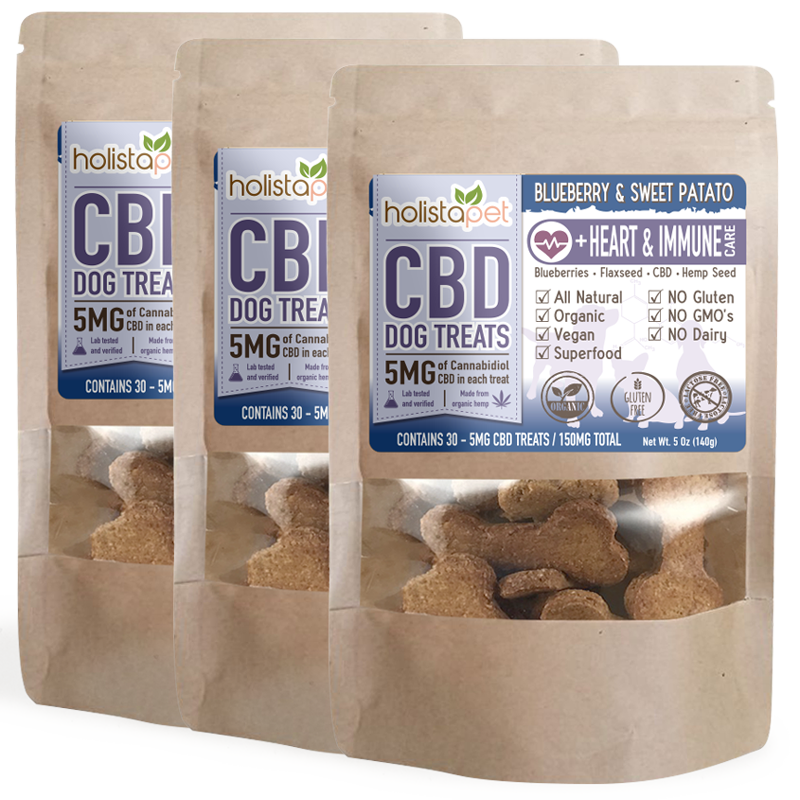 Opt for our readily prepared treats, and see the dog’s health transform. Get the best cbd dosage for cancer or find cbd free shipping codes here. 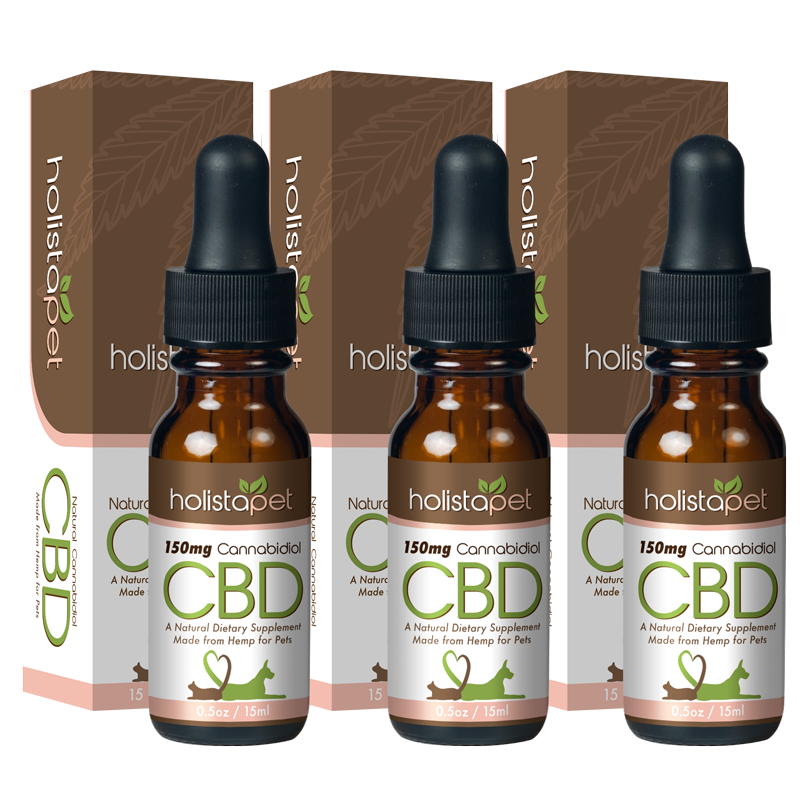 HolistaPet always will carry the best cbd oil as promised!